Michael Williams is a co-founder of MSP and worked at Walter Johnson High School when MSP was founded in 2005. Mr. Williams has played a huge role in not only getting MSP started, but coordinating meetings and events. 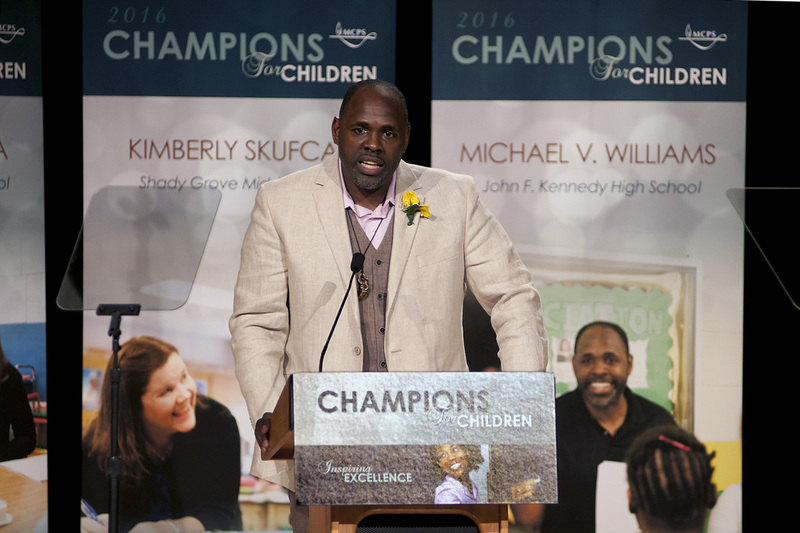 Michael Williams is currently the social studies resource teacher at Kennedy High School and the Montgomery County 2016-2017 Teacher of the year. Sharif Robinson is an assistant principal at Bethesda Chevy-Chase High School. As well as a co-county coordinator of the Minority Scholars Program. He started MSP at BCC High School in 2010. Ms. Najera is an assistant principal at Springbrook High School, and a co-county coordinator of the Minority Scholars Program. She started MSP at Clarksburg High School in 2008. Clarksburg High School was the second high school to join the MSP movement.